The revelations of misconduct during the Royal Commission have been a reality check for many in the financial services industry. While substantial steps have been made over the past decade to strengthen the basic tenement of representing the client’s best interests, the highlighted examples and subsequent fumbling from the heads of these institutions show that when one mixes people and money management, greed and incompetence will be a constant work hazard. While no doubt the subsequent recommendations will be an improvement to current standards, this will not be as significant a shake-up as with the introduction of Future of Financial Advice (FoFA) in 2013. This Act saw the introduction of new standards of client care, the elimination of commissions on financial products and now some years on, sees the Treasury focused on removing insurance commissions. The Royal Commission revelations have been disappointing, inferring that all participants in the industry as scammers and that the regulators are inept. This risks derailing all the positive steps that have been made since FoFA was introduced. Increasing regulation and the burden (and cost) of providing advice will make professional guidance out of reach for many Australians who need it most,as well as those in the emerging wealth group. So, any outcome and legislation changes will need to be a delicate balance between progress and pragmatism. However, the failings of the industry in the past have stimulated the success of Lincoln Indicators. One of our key pillars is education; empowering members with the knowledge they need to facilitate confident and fully informed investment decisions for themselves. Our members have increasingly taken control of their investing by utilising the services of an independent body to assist them in becoming self-directed with either Stock Doctor, our DIY product, or one of our Managed Fund solutions. But one uncomfortable question that remains unasked and should be is; at what point does the responsibility fall on the client to take ownership of their financial decisions.While everyone would agree that unconscionable behaviour by financial advisers, lawyers and accountants should be punished to the full extent of the law, with many of the examples presented to the Commission and only a small bit of financial nous, what was proposed as advice should never have passed the ‘smell test,’ and raised alarm bells in the client’s mind. 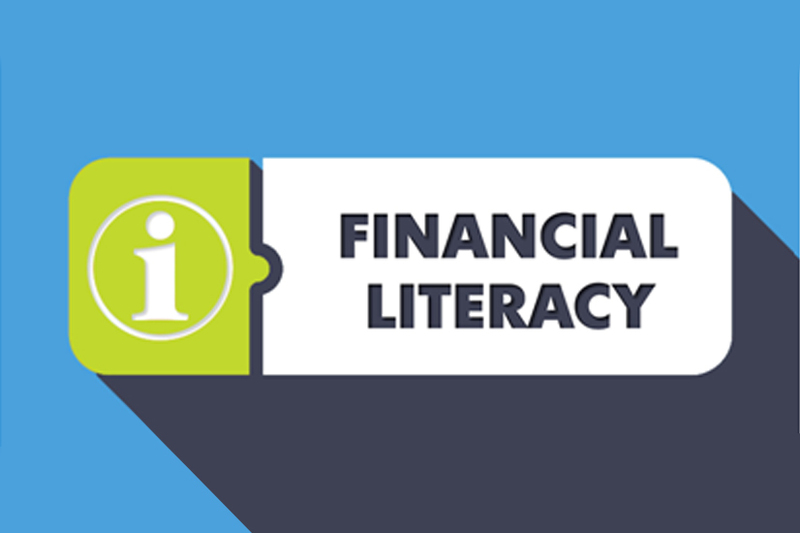 Improving financial literacy amongst Australians at all stages of their life, from youth through to retirement,has long been a stated aim of earlier governments. The latest strategy can be found at www.financialliteracy.gov.au, with ASIC managing its own consumer targeted website www.moneysmart.gov.au covering the various facets of managing one’s finances. However, like trying to take a glass of water from a fire hydrant, the amount of information can overwhelm. It requires considerable time and effort to understand and receive the full benefit. The latest issues surrounding the industry highlight the ineffectiveness of past programs.So where can investors get help with building their financial literacy? There are alternatives for investors beyond their financial planner where they can receive a more balanced view on a range of investment topics. Not-for-profit organisations such as the Australian Shareholders Association www.australianshareholders.com.au has a strong advocacy and education mandate with groups run by volunteers to discuss all matters related to investing. They have a range of education resources and run regular seminars at reasonable prices with market experts providing guidance and information. Their annual conference is in Sydney on 21-22 May and will be two action-packed days of education to turbocharge your knowledge. Investor groups are less structured, but often less intimidating than formal organisations.Investor groups can be an excellent way to whet the appetite, share knowledge and information with peers possessing the common goal of becoming better investors. Lincoln Indicators proudly supports the ‘Women and Shares investing group’ in Melbourne www.meetup.com/Women-and-Shares-investing-group, a meetup group of 500 members who want to learn, share and discuss the Australian share market and investing strategies. Third-party research providers are for those ready to step up to making informed decisions using a structured approach to investment selection and rejection. With a wide variety of providers out there, investors need to select a proven provider they can trust and provides them with a wide range of ancillary benefits such as ongoing education and support. This allows investors to manage their portfolio both efficiently and effectively, aligned to their end objective and within their accepted tolerance to risk.